We offer the finest quality display props for your wedding, tradeshow, office, or residence. We continually expand our inventory in order to meet current and future needs of our customers. Our goal is to make your event a huge success. And our customer service is second to none. Whether you need columns, urns, canopies, gazebos, planters, pedestals, stands, or fixtures, we are sure to have the right display prop for your big event. We have the right display columns, display fixtures, display pedestals, and display stands too! Decorative Columns from Column Designs will add to the ambiance and help to achieve the desired result! 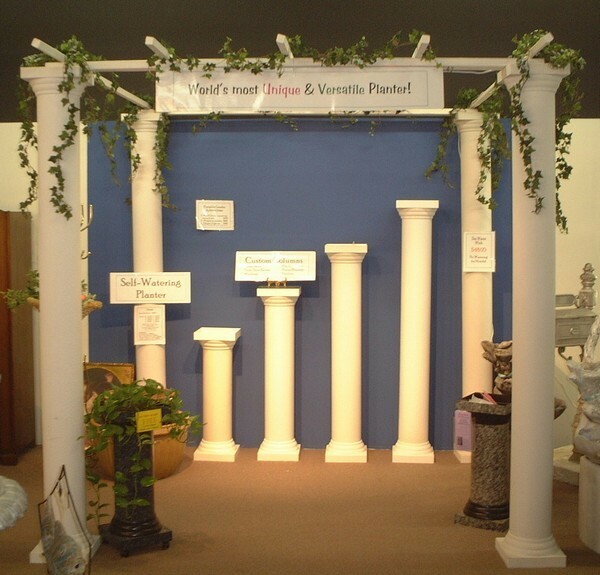 See our complete line of Wedding Columns, Decorative Columns, Plastic Columns, and Display Columns.